The Indian caste system is a structure of social segregation that is deeply ingrained in both Indian political history and the religion of Hinduism. According to Hindu tradition, the god Brahma created man from clay, and four castes arose from his body parts. Brahmans (priests) arose from his mouth, Kshatriyas (rulers & warriors) arose from his arms, Vaishyas (landowners & merchants) arose from his thighs, and Sudras (artisans & servants) arose from his feet. Years later a fifth caste known as Dalit, “downtrodden”, emerged who were charged with, among other things, cleaning human waste. Membership in the castes is determined by birth and based on the concept of Karma . If one does good deeds during his life, he will be reincarnated into a higher caste. On the other hand, bad deeds lead to lower castes. Once in a caste, a member can not change and the hardships that are endured by the lower castes are seen as divinely ordained. There is a loose correlation between caste and skin color. Traditionally, lighter skinned Indians were believed to be of a higher caste than those with darker skin. However, this is less true today. In addition to these five overarching castes, there are hundreds of sub-castes throughout India that are broken down based on more specific occupation, physical location, and genealogy. Although many castes live in the same cities and are economically dependant on one another, some of the more remotely located castes are roughly equivalent to isolated ethnic groups. Regardless of the distinctions, intermarriage between castes is traditionally rare, although in recent years there has been some increase as the caste system comes under pressure from outside cultures and thoughts on equality. Castes have a number of other social and religious implications. While the first four castes are considered to be clean, the Dalit are ‘unclean’. This has led to rules such as forcing the Dalit to ring a bell wherever they go to warn others of their approach. Higher castes—the Brahmins, Kshatriyas, and Vaishya—are seen as twice-born. Between the ages of eight and twelve, depending upon caste, members come of age and are considered to have a rebirth. This rebirth allows them to fully practice the Hindu faith. In order to compensate for past inequalities, the Indian government has instituted a program know as reservations which is somewhat similar to affirmative action in the United States but is much more explicitly codified. Jobs that have been ‘reserved’ require a certain of each caste to fill the open positions. 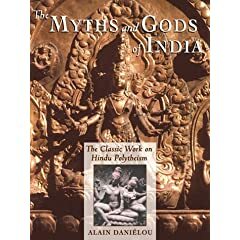 Nepal, the only country where the state religion is Hinduism, also has a caste system that originated in 1854 with the authorizing document Muluki Ain. Dalit, the fifth caste, are commonly known in the West as untouchables but the term is considered to be derogatory in India today.